If you follow our tax blog, you are already aware that our international tax attorneys frequently discuss the IRS Offshore Voluntary Disclosure Program (OVDP), formerly known as the Offshore Voluntary Disclosure Initiative (OVDI). The purpose of the OVDP is to grant U.S. taxpayers who have concealed foreign income a relatively low-risk way of reporting the funds to the Internal Revenue Service where the IRS could view a taxpayer’s noncompliance as a tax or foreign information reporting crime. Participants in the OVDP face reduced penalties as a reward for voluntarily reentering compliance with the tax code and laws like the Bank Secrecy Act (BSA) and Foreign Account Tax Compliance Act (FATCA). Critically for U.S. taxpayers who still have undisclosed foreign bank accounts, the Internal Revenue Service is permanently ending the OVDP Friday, September 28, 2018. While the IRS will continue to provide alternative routes toward compliance, the removal of the OVDP as an option could present danger for certain taxpayers. With the OVDP window now closing, taxpayers are advised to review their remaining disclosure options with an experienced OVDP tax lawyer Immediately. The following video explains your exposure in granular detail and is free. To provide a brief summary, the OVDP existed to incentivize the voluntary disclosure of hidden offshore accounts and income – disclosure which is, at certain thresholds, mandated by federal law. In exchange for entering the program, participants generally earned protection from criminal prosecution, in addition to smaller financial penalties. For taxpayers who still need to report offshore accounts to the IRS – in other words, taxpayers who have failed to timely file an FBAR or Form 8938 (Statement of Specified Foreign Financial Assets) – the ending of the OVDP could potentially present difficulties. Fortunately, the IRS will continue to offer other options for reporting foreign accounts, as our FBAR lawyers previously discussed. One of these options is the streamlined disclosure program. However, taxpayers should approach with caution: despite their similar names, the streamlined version of the IRS’ disclosure program is, in some regards, radically different than the version which is ending on September 28. To provide one notable example, the streamlined program requires the taxpayer to supply – under penalty of perjury, a serious crime – written certification that his or her failure to file an FBAR was “non-willful,” meaning negligent (or careless) as opposed to fraudulent (or done deliberately with intent to evade tax laws). Though essential to successful participation in the streamlined version of the program, providing this certification can potentially be dangerous for taxpayers. If the underlying evidence of non-willfulness does not thoroughly convince the IRS of the certification’s validity, there is high potential for the IRS to conduct a tax audit. Needless to say, an IRS tax audit poses risks for taxpayers who have a record of noncompliance. Nor is heightened risk of an audit the only negative outcome that can result from the certification of non-willful conduct. In addition, the taxpayer risks a civil fraud penalty, FBAR penalties (potentially up to 50% of the account balance), and, of course, any interest that has accrued. While these risks are considerable, they may be outweighed by the benefits in many cases, and should not dissuade taxpayers from consulting an experienced international tax & FBAR attorney for guidance – not only regarding the streamlined option, but other potential approaches. For example, for some taxpayers it may be sufficient to file an FBAR, accompanied by a federal income tax return and various information returns. When the OVDP ends, taxpayers will be forced to look elsewhere for methods of reentering compliance with the law – and are advised to do so quickly, as failure to report offshore income can result in severe civil and/or criminal penalties (which are discussed in depth here). 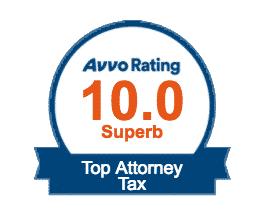 If you are a U.S. citizen or U.S. resident with a checking account, savings account, or business account at a bank overseas, it is in your best interests to contact an experienced tax lawyer or dually-certified attorney-CPA. For a reduced-rate tax consultation concerning foreign accounts and reporting requirements, including Bitcoin FBAR filing requirements, contact the Tax Law Office of David W. Klasing online, or call our tax firm at (800) 681-1295 today.